Perhaps the most significant indicator that the fashion press needs a serious overhaul is the fact that an Instagram account broke one of the biggest stories last year. 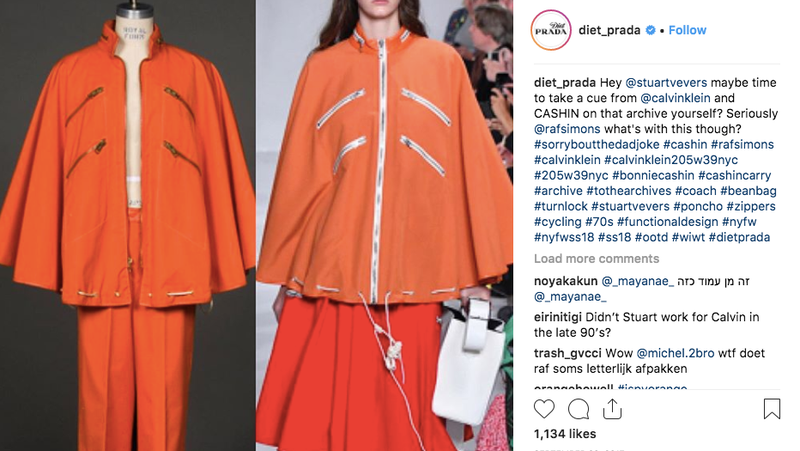 Diet Prada, a once-mysterious Instagram account helmed by Tony Liu and Lindsey Schuyler, has been steadily cataloguing fashion news as it breaks— designers copying others and indie brands, racism in advertising, among other controversies—for the past few years to a growing fanbase. (The account currently has one million followers.) But after Diet Prada posted the racist remarks that Dolce & Gabbana’s Stefano Gabbana sent privately on Instagram in November, it had a domino effect throughout the industry; Chinese models pulled out of the show, celebrities expressed disdain for the brand, and the show was ultimately canceled as a result of Diet Prada’s efforts. Gabbana’s comments weren’t exactly surprising given his track record, though they were offensive enough to force him to backtrack and say he was hacked. But the fact that the reporting chops of an Instagram account could cancel an entire fashion show was surprising—and only emphasized the potential power watchdog accounts have in fashion media. Another source working outside of the lines to independently critique the fashion industry is the blog The Fashion Law, which creator Julie Zerbo founded when she was in law school. Where Diet Prada approaches copycat designers and ethics issues in fashion with snark, The Fashion Law approaches designer lawsuits with thorough, expert knowledge, breaking down why an indie brand won’t be able to sue Steve Madden over a bamboo bag, or whether celebrities have to disclose red carpet “pay-for-play” under F.T.C. guidelines. The success of places like The Fashion Law, Diet Prada, Esteé Laundry (which broke the news that Sunday Riley had faked product reviews), prove there’s a hunger among fashion and beauty fans for legitimate industry reporting and criticism in unconventional spaces. And as traditional fashion media becomes more beholden to access journalism and other revenue streams (like Vogue reportedly charging designers $20,000 to have their images featured on Vogue Runway), indie voices working outside these institutions are more important than ever. “I think like any other form of journalism, your work is to speak truth to power, be a watchdog, and it’s also to draw people’s attention to things that are troubling, contentious, but also absolutely amazing,” The Washington Post critic Robin Givhan once said. Fashion media is best when it’s speaking truth to that power, like when the New York Times goes long on the controversial roots of a trendy bikini, or when Vogue.com prints the unedited comments of Victoria’s Secret’s CMO. But that kind of reporting is not universally standard in fashion media, where big name editors are forgiving of racist designers, and models have to resort to anonymously sharing their accounts of sexual misconduct on Instagram. Given the inherent corruption of the fashion industry, where clothes are produced in horrific factory conditions and advertised by often unhealthy models, reporting on every move made by a designer or publication move doesn’t necessarily lead to institutional change. Take for example Vogue’s promise to ban underage models, which various editions then violated several times. But the increasing interest in watchdog accounts reflects how young fashion fans and insiders, who’ve grown up on forums like The Fashion Spot or Lipstick Alley, get their information on the industry—and what kinds of information they want. Blogs that were once fashion-only publications like The Cut or Refinery29, positioned to become rising alternatives to traditional fashion media, have in the past decade gradually stopped being sources for designer gossip and biting criticism; Refinery29 even offers up its editorial staff to post sponsored content for brands. Fashion bloggers like BryanBoy, who once poked fun at the industry from the outer rings, are now part of the industry themselves and the medium has ultimately wasted away to beautiful, rich people posting photos of their beautiful, expensive clothes. Meanwhile, where Teen Vogue was once a mere mini Vogue (complete with a “Fashion University” program for high schoolers where they could rub elbows with people like Phillip Lim or Amy Astley), they’ve had to branch out from their straightforward, fluffy fashion coverage into social justice territory—which suggests that younger audiences just aren’t interested in spread after spread of expensive Alexander Wang clothes. Which is to say that young audiences coming to fashion media are looking for stories far beyond aesthetics. There’s a desire for accountability—exposing the racism of brands, advocating for the sustainability of the clothes—that not every glossy publication can (or wants to) commit to. It’s for that reason that fashion watchdogs, whether on blogs or Instagram, are more important than ever.